There is no design to this bag. There is a flavour colour coded Union flag in the background. There is a black circle with the contents written on in the centre and a couple of graphic Crisps. It is sad how little effort supermarkets put into their own branding. And if they can’t be bothered why should the consumer? 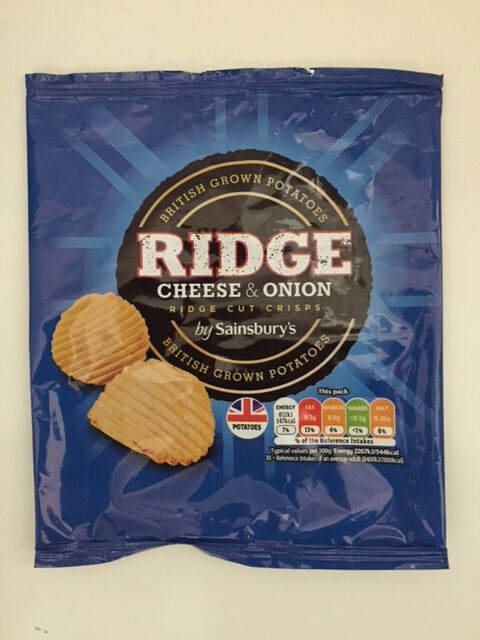 Standard looking medium Ridged Crisps, with lots of breakages in the multipack bags. There was a mild yellow colour, no oil blisters, little seasoning, but a small amount of brown edges here and there.